Come next spring Southwest Airlines stewardesses will be dolled up in new, Cintas-designed uniforms nothing like their skimpy, eye-catching look of the 1970s. The new uniforms were co-designed with employees of Southwest as well. Cintas is also creating a uniform facelift for Chicago-based United Airlines, due for exposure next year. Coming in September travelers on American will also be greeted with freshly designed uniforms. The new uniforms for all three airlines seem to be part of an overall improvement in customer service in the wake of record profits resulting from historic low fuel prices. They are also revamping, along with their uniforms, their images and brands. 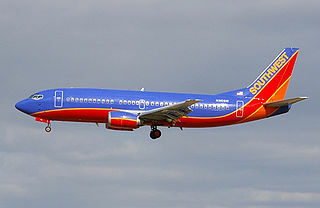 Now that Southwest Air is turning 45 it appears they are trying for a more “mature” image. There company has certainly expanded, with 90 destinations, including some international markets. The new look for the female flight attendants on Southwest features bold blue and warm red: the colors seen on the new Southwest uniform that was launched in the fall of 2014. On top of the uniforms will be Bold red fitted jackets, and an homage to the crazy short shorts and miniskirts of the 70s with a well-placed zipper running up the dress from the hem. The men FAs will get a new look, too, consisting of dark blue pants and jackets over lighter blue shirts. Their neckties will be a bold and brave red.